Facebook is not everybody’s favorite social media, that’s for sure. It’s a little old-school and can often be annoying. BUT, if used properly, it can be a hugely useful tool for acquiring both page views and clients. From the time that I started this blog, back on December 1st, Facebook has been my number #1 referrer to my blog. 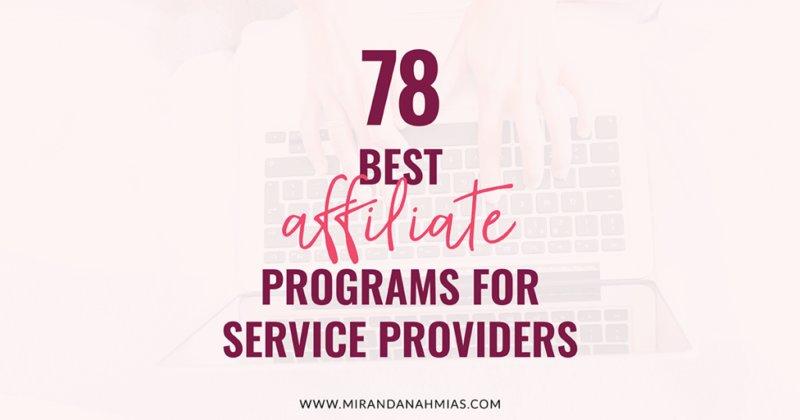 It is also, at the time of this writing, the number #1 referrer for my paying clients (50% more than my referrals from Twitter or Instagram, and 30% more than friend referrals). 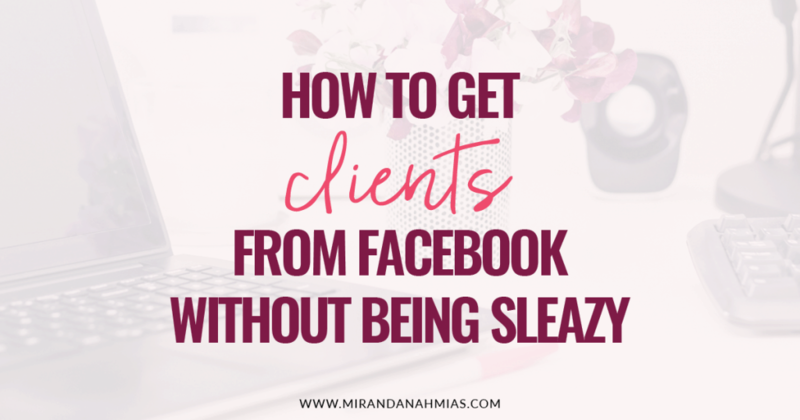 So I’m really excited to jump in and teach you exactly how to get clients from Facebook, based on the things that I’ve learned so far. I hear a lot of people giving the advice to “only join two or three Facebook groups.” The thought behind this is that joining any more than that can be overwhelming and doesn’t allow you to fully contribute or be a part of each and every group. To some extent, I do agree with this. Yes, it can be overwhelming, and no, you shouldn’t join a bunch of groups if you can’t really commit to all of them fully. 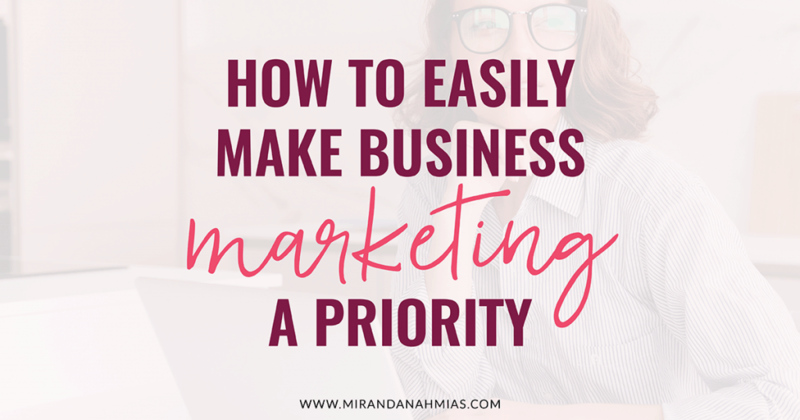 But if your intention is to use Facebook as one of your primary social media tools to drive business to your blog, it is not a bad idea to be part of quite a few groups. Personally, I’m in 28 groups in my niche. There are only 10 groups that I do consider myself an “active participant” in. This is a much more reasonable number, and I think it’s totally do-able to commit to that many Facebook groups, if you truly keep up with them, like I try to. Download @mirandanahmias’ free Facebook Group Weekly Calendar Printable & get clients from FB with ease! Follow the Rules of Each Group! This is super, super important. Each Facebook group has its own set of rules. Some are standard, like “no self-promotions.” Others are hard to remember, like “no links allowed in comment replies.” And they all usually have different types of content threads scheduled for different days of the week. Remembering the rules for each group allows you to keep good standing in those groups and stops you from potentially being removed for inadvertently disobeying them. If you belong to so many Facebook groups that you can’t remember the individual rules for each one…that’s when you know that you’re in too many! If you’re going to be using Facebook for your blog/business, you need to have a business Facebook page. And you should be listing that Facebook page as the first thing that shows up in your personal Facebook page’s employment records. That is really important because, if somebody is interested in another group member, they can hover over that person’s name to get a preview of their personal page. If their business page is listed as their primary place of employment (as in the case of Ardelia Lee, Owner and Founder at ArdeliaLee.com who posted a comment on Katelyn’s Brand Vixen Facebook group), they will be able to click straight through to their page, and ultimately perhaps “like” it, or even hop over to that person’s website. If I don’t see somebody’s business page in their little preview, I usually don’t go any further with them networking-wise. I just assume that they are not a blogger or small business owner. It’s also crucial to make sure that your Facebook page is properly updated! Go through your entire page at least once every few months and update any old or missing information. 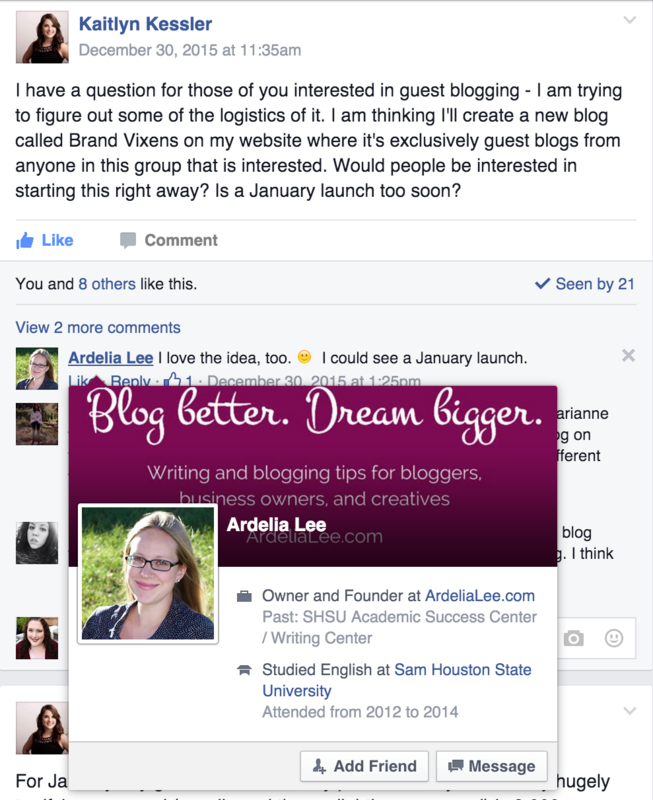 Change your pinned post, update your header image, give your business’ description a refresh. If someone clicks over to your page, you want all of the information they see to be relevant, and you want them to see that you have a fairly active page. This includes remembering to post something to your page at least a few times a week, if not a few times each day (it doesn’t have to be original content — a lot of my Facebook business page posts are links to other people’s blog posts that I liked). This is key. The more you post in a Facebook group, the more memorable you will be to other members, and the more clout you will have as a potential person to hire. This does not mean that you should spam! A few comments in each group per day is enough. You don’t need to comment a bazillion times on every single post to be noticed. You will just annoy people! Since I am trying to use Facebook strategically, I typically spend about 1 hour each day participating in Facebook groups. If you cannot dedicate that much time to Facebook, consider reducing the number of groups you belong to until a shorter amount of time becomes enough to be active in each group. Share Knowledge. 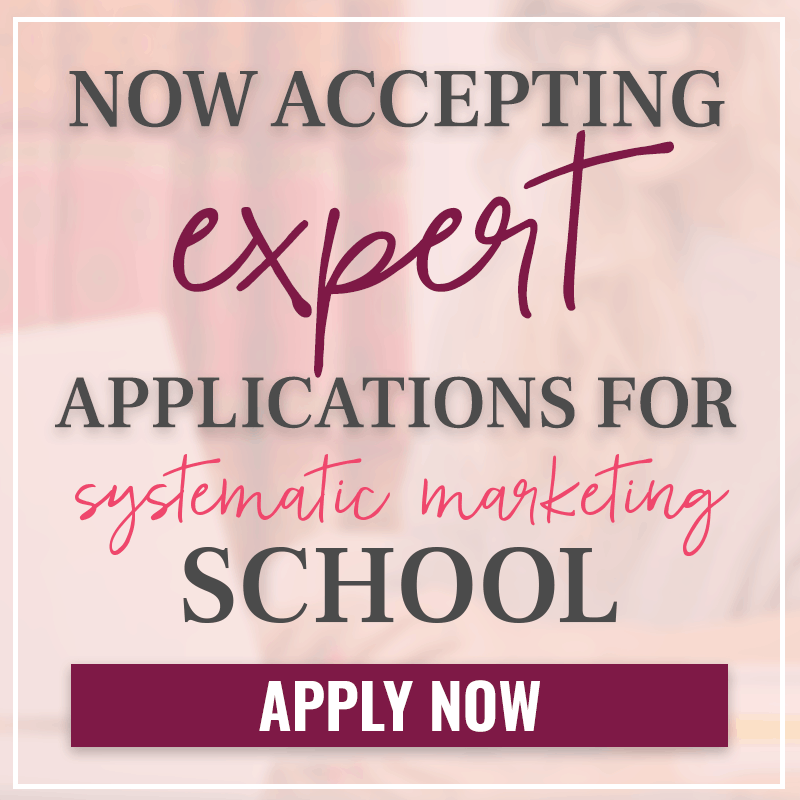 Offer Your Expertise. One of my favorite ways to promote myself on Facebook is by sharing knowledge. If someone asks a question about virtual assistance, I’m always going to try to help them to the best of my abilities! Answering people’s questions makes you look like an expert in your field. It also helps you seem like you’re extremely helpful and just an all-around nice person! Usually, if I’m answering somebody’s question about a topic in my field, at the end, I will write a short sentence or two pitching my services. Something along the lines of, “Hope this information helped you out! In case you are interested, I would love to chat with you more. Let me know if you want to set something up). Even if they are not interested, I have never had anyone react negatively to this type of pitch — usually they will even comment back and say thanks, or that they will be keeping you in mind for future projects! As long as you are offering straight-up value first, giving a “soft sell” afterwards is typically not considered sleazy. And, hey, you might even get a new client! There are a lot of times that I come across posts in Facebook groups where somebody is specifically looking to hire somebody. They need a new logo design, or want to hire a Facebook ads specialist, and they are basically asking YOU to comment and apply for the job. 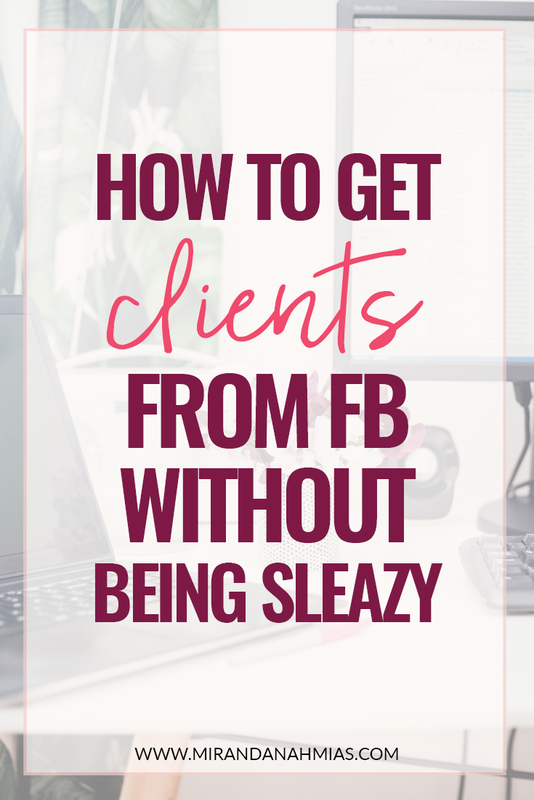 Often, those posts are so popular, that (even with the amount of time I spend on Facebook) by the time I see them, there are already 30+ comments of people offering their services. At that point, it’s almost ridiculous to think that you might be considered. But, hey, there’s nothing wrong with adding your hat to the ring. The best thing is when you come across one of those posts right as it has been posted, and you are one of the first people to comment! It’s all about the timing. And, although it can be hard to always be there at the right time, it’s definitely a great way to end up getting hired. There are two types of introductions that I want to talk about. Basically, when you first get added to a group, you will often be invited to introduce yourself to everybody with a post about who you are, where you’re from, what you do, etc. 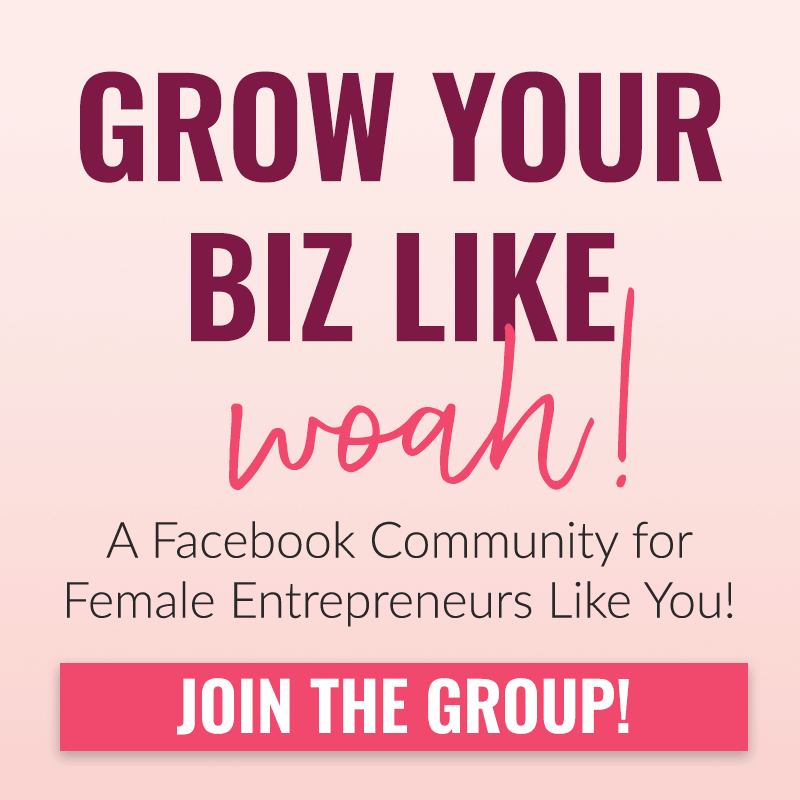 When I first started joining Facebook groups back in November, I realized that this free “introduction post” that I was being offered was a huge opportunity not to be squandered! It’s often one of the only (maybe THE only) times that you will be able to have a post on that group all about yourself. Because promos are usually against the rules, but introductions aren’t, take time to craft your introduction and use it strategically. I chose to wait a few weeks in each group before introducing myself, and then did it in each group I belonged to on the day of my blog’s debut. This allowed me to have an amazing opening day, with tons of page views coming from my Facebook introductory posts. 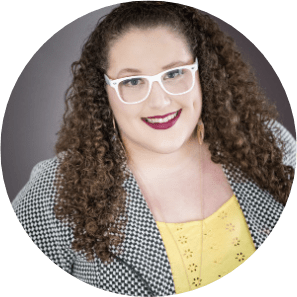 Even if you don’t have a blog launch about to go live, you can still use this introduction to your advantage! 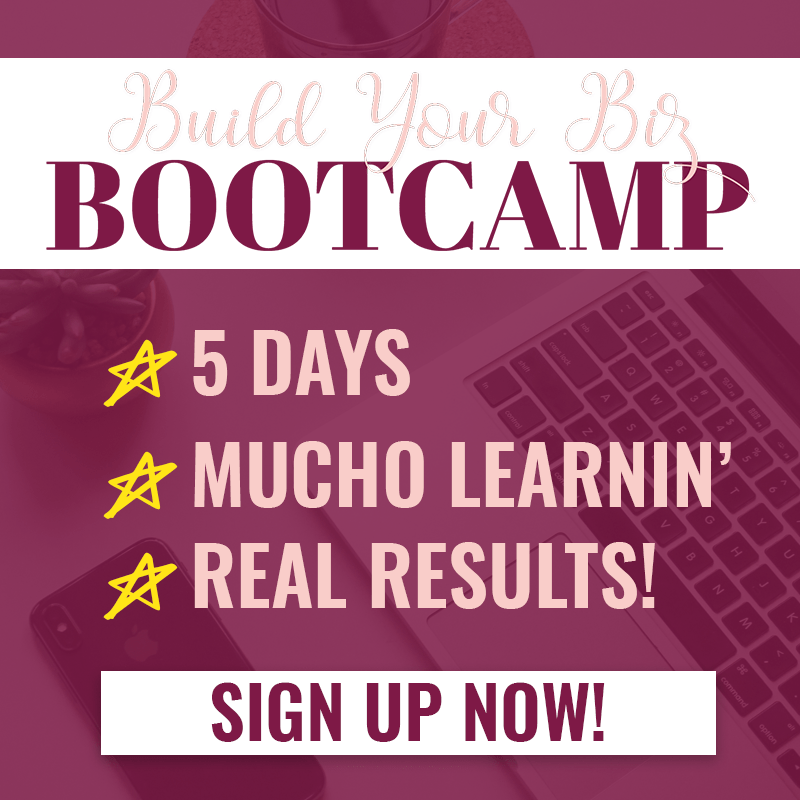 Do you have an upcoming course, or a new free content upgrade? Introduce yourself and then advertise that new thing! Or at least say “I blog over here:” and use that link to send people to a landing page. The other type of introduction that I want to talk about is one that you can make use of all the time. If I am commenting on a post that doesn’t have anything to do with my business, but still want to nudge people into checking me out, I will simply sneak my job description into the comment somehow. For example, if someone is asking a question about a WordPress widget or anything else super random, I will phrase my answer like this: “Hi [person’s name], I really like using [Wordpress plugin] for this on my graphic design blog.” It sounds like you are just elaborating, but it’s actually a tiny tiny little pitch! 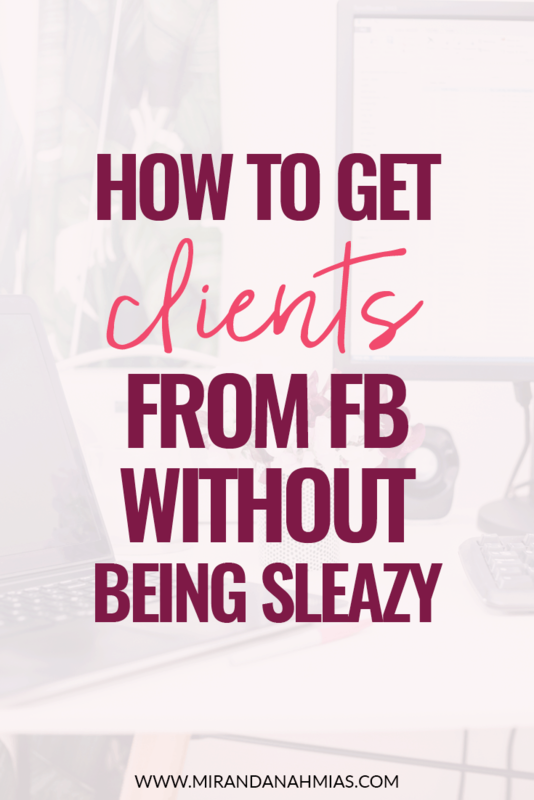 The chance that you will actually get a client from that is very small. But it does put your expertise in the back of their minds. If that person just so happens to be thinking about hiring a calligrapher, and you just so happen to mention that you do calligraphy, that person might ask you a follow-up question, jot your name down, or click over to your site…all things that might help you book them! Not to mention that other people also answering that person’s question will see your comment. They might have an interest in you, too! 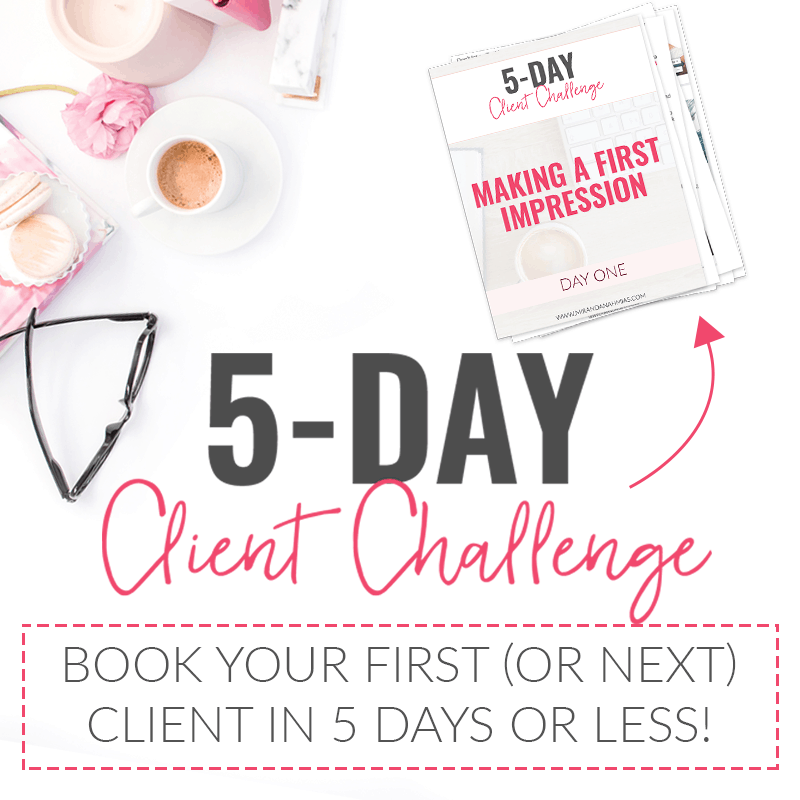 Without even looking like you are trying, you have now peaked the interest of multiple potential clients!